When you live in a humid climate, you need to be proactive about protecting your roof from experiencing roof rot. Roof rot can ruin your roof long before its time if you don’t take good care of your roof. Prevent roof rot by installing a suitable roof ventilation system and keeping all roof vents and chimney spaces well sealed. Keeping your attic well-ventilated helps provide a host of benefits to your roof. 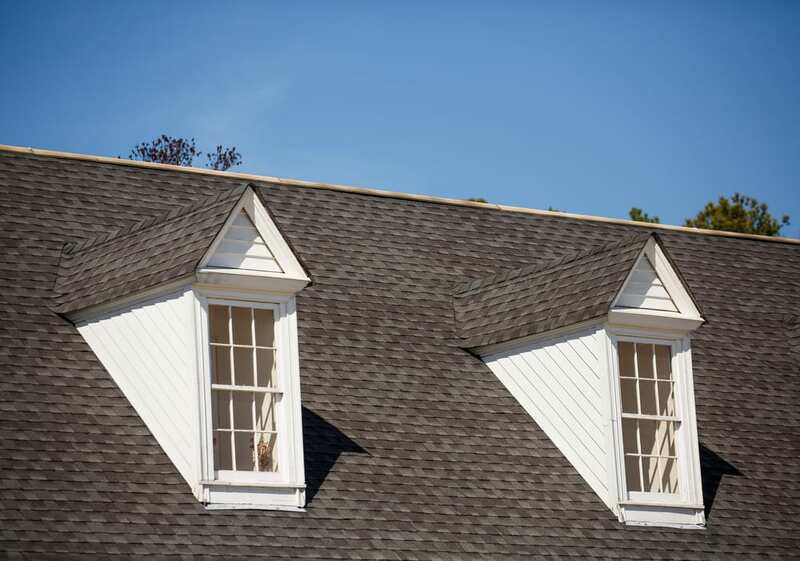 A well-ventilated attic will protect your roof from roof rot. A well-ventilated attic will also increase the life of your shingles and help prevent ice dams from forming in the winter. If your attic is often hot and stuffy, your attic more than likely doesn’t have a proper ventilation system. A proper ventilation system in your attic will help remove moisture and keep the air flowing, so it doesn’t feel stuffy when you go into your attic. When it gets too hot in your attic, the moisture can cause the deck wood to rot. All that excess heat can also bake your shingles as well, causing them to wear down at a faster rate. There are a variety of roof vents that can be used to improve the ventilation in your attic. Box vents allow for natural ventilation of the air in your attic. They provide a protected way for air and moisture to leave your attic naturally, with no moving parts. They are generally installed near the roof ridge. Wind turbines rely on wind from outside to activate the vent and help pull hot air and moisture out of your attic. Power vents use electricity and are either hardwired into your electrical system or use small solar panels for operation. They use a thermostat and a humidistat to determine when to operate in order to most effectively pull hot air and moisture out of your attic. Ridge vents are similar to box vents. They run across the ridge of your roof and allow for the natural ventilation of air and moisture from your attic. A certified roofing professional can examine the exact setup of your roof and attic to determine what type of attic ventilation your attic needs to protect your roof. Another area where you need to be proactive to prevent roof rot is around your roof vents and chimney. If the seal around your roof vents and chimney are not well-maintained, water can easily seep under your shingles around your vents and chimney. At least once a year, check your roof vents and chimney, and make sure that they are well-sealed. You should not be able to see your roofing material or gaps around the base of your roof vents and chimney. If you find the seal around any of these protrusions has failed, you can repair the seal with some tar. Purchase roofing tar and apply it to the base of any areas that are not well-sealed. This will help keep water from seeping around your vents and chimney, damaging your roof, and leading to roof rot. For a more long-term fix, you will need to put metal flashing around your vents and chimney. The metal flashing will need to be sealed up using a strong silicone sealant. The flashing also needs to be placed under nearby shingles. Inspect your roof vents and chimney for damaged sealant at least once a year. For a quick fix, you can apply roofing tar, but installing new metal flashing is the best long-term solution to protect your roof. Keep your attic well-ventilated and your roof vents and chimney well-sealed are two of the best ways to protect your roof against roof rot. Our roofing team at Affordable Roofing & Gutters can inspect your roof and determine if the ventilation in your attic needs to be improved. We can also make sure that your roof vents and chimney are well-sealed in order to prevent roof rot. Contact us today for a free estimate.